The continuing live stream coverage of the Holy Father, Pope Francis Apostolic journey to the USA. 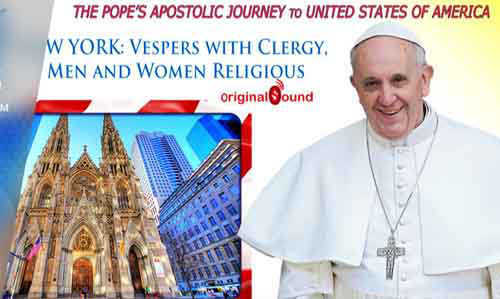 This episode features the Pope Francis in the USA – Vespers with Clergy. This entry was posted in NEWS, RELIGION, VIDEO, WORLD and tagged Apostolic Visit, Pope Francis. Bookmark the permalink.